3 Helpful Tips for Living with Invisalign in Virginia Beach! Metal braces are no longer the only option for correcting crooked, gapped, misaligned or crowded teeth. While traditional braces are highly effective, many people aren’t fond of the bulky appliances and the lengthy treatment process they require. 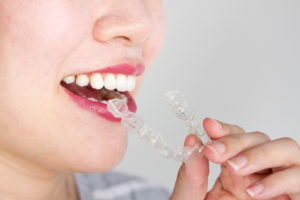 Thankfully, there is a more aesthetically-pleasing and less time-consuming method for bite correction – Invisalign in Virginia Beach. Learn how treatment works and what you can do to make it a more comfortable process! Instead of metal brackets, bands and wires, Invisalign relies on a series of low profile, clear plastic trays to gradually adjust your teeth until they are properly aligned. The custom-designed trays are worn in two-week increments and then discarded for the next set in the series. Although the movement is steady and gradual with Invisalign, there is the possibility of some initial discomfort. Don’t worry, though, because there are things you can do for relief. Orthodontic Wax – Usually, orthodontic wax is used with metal braces to prevent the end of the arch wire from scraping the cheeks. However, the same can be used with Invisalign trays to make for a more comfortable experience by preventing any friction. Aligner Retrieval Tools – To safely and comfortably remove your trays, an aligner retrieval tool is worth having. Made from either plastic or stainless steel, it is designed specifically to accommodate your Invisalign trays so you don’t have to worry about irritating your gums when you remove them. Invisalign Chewies – For your treatment with Invisalign to be as effective as possible, your trays need to fit snugly against your teeth. A great tool to help you comfortably remove any gaps between your teeth and the trays is an Invisalign Chewie, which is a plastic cylinder that you can gently bite down on. Along with improving your experience while wearing Invisalign trays, there are tools that are designed to make life easier, such as floss picks. They are excellent for removing debris that can become stuck between your teeth and a tray. Another helpful addition is a cleansing towelette. It’s priceless to have when you’re out and about and you can’t rinse your trays normally. Once you commit to straightening your teeth with Invisalign, you want the process to be as effective and timely as possible. For that to happen, you’ll need to wear your trays at least 20-22 hours a day. Also, don’t forget to remove them before eating or drinking anything other than water. Otherwise, they can crack or warp. Finally, it’s of the utmost importance to practice excellent oral hygiene while wearing the tightly-fitting trays. That’s because their snug fit against your teeth creates the perfect environment for bacteria to grow. So along with using the specially-designed floss pick, you should also brush your teeth at least two times a day to remove any debris. Now that you’re aware of how to make the Invisalign process more comfortable and effective, sit back and prepare to get the smile of your dreams with help from your cosmetic dentist in Virginia Beach! Dr. Carol F. Morgan earned her dental degree from the Medical College of Virginia School of Dentistry. 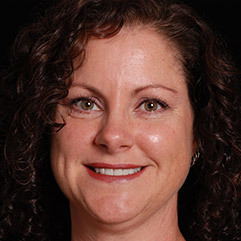 She has since gone on to provide the best in dental care to the Hampton Roads area for over 20 years. 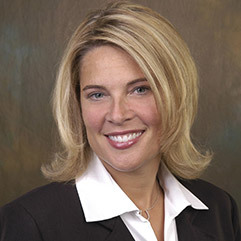 A member of the American Academy of Cosmetic Dentistry and the International Association of Orthodontics, Dr. Morgan is highly-skilled at correcting bites using Invisalign. 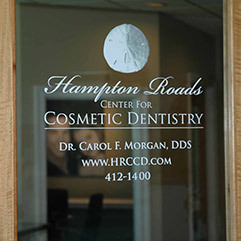 She creates beautiful smiles at Hampton Roads Center for Cosmetic Dentistry, and she can be reached for more information through her website. Comments Off on 3 Helpful Tips for Living with Invisalign in Virginia Beach!